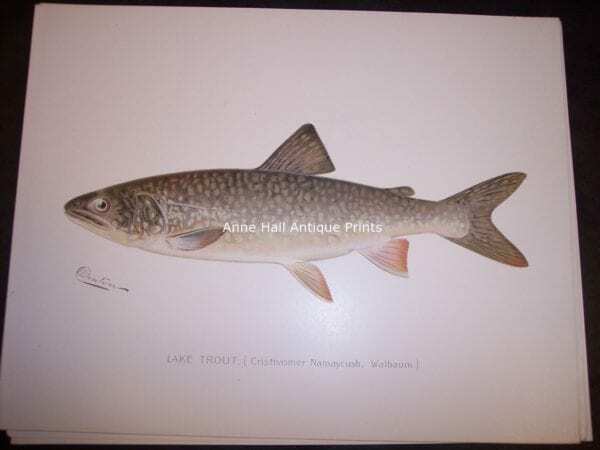 Trout Salmon Antique Lithographs by Denton! Awesome Gifts for the Fly Fisherman! 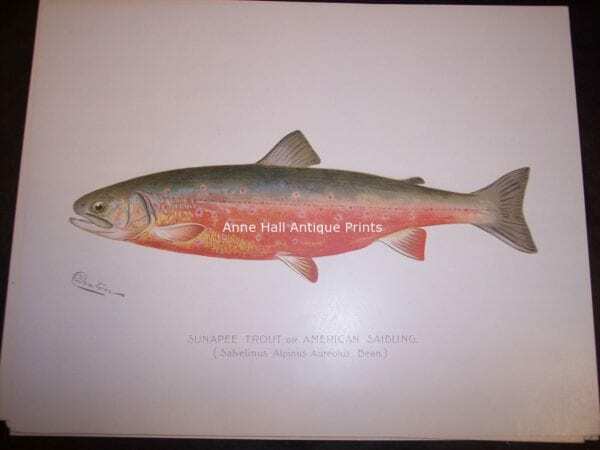 Denton Trout Salmon chromolithographs are classic in style so if you are looking for decorative wall hangings for your favorite fisherman, look no further, we have unique and antique, trout & salmon prints, revered by all! See additional kinds of fish. 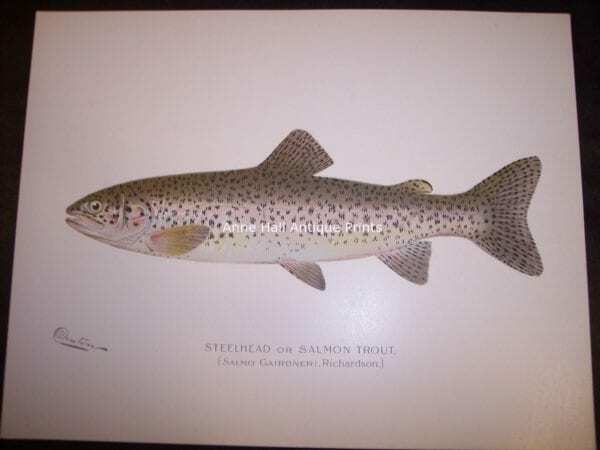 Circa 1900, Sherman Denton was hired by the New York Fish and Game Commission to illustrate North American species of fish. 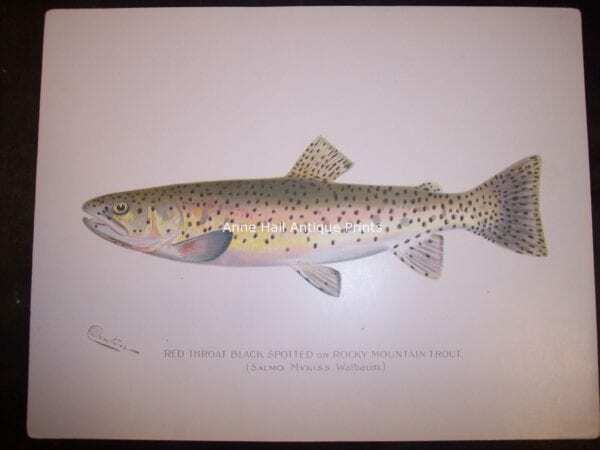 Considered to be the best of his work are his trout salmon chromolithographs. Here some are framed, in rag and under UV glass, in a lovey honey colored burl, solid wood frame measuring 18″ wide x 14″ high. With a little lead time I would be happy to frame your choice of fish like these. A great classic look for trout salmon fishermen! Denton Canadian Red Trout. $250. 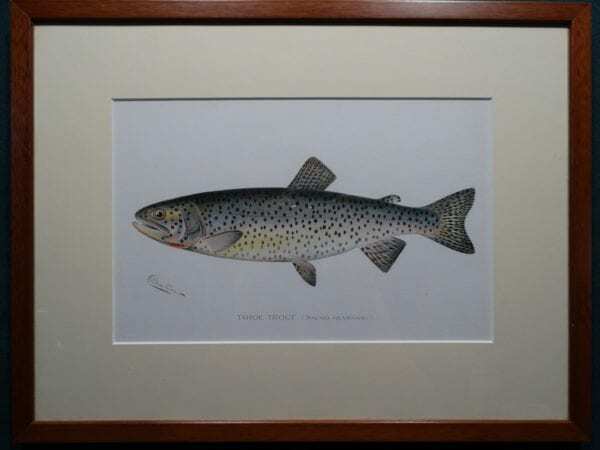 Denton Framed Sunapee Trout $285. 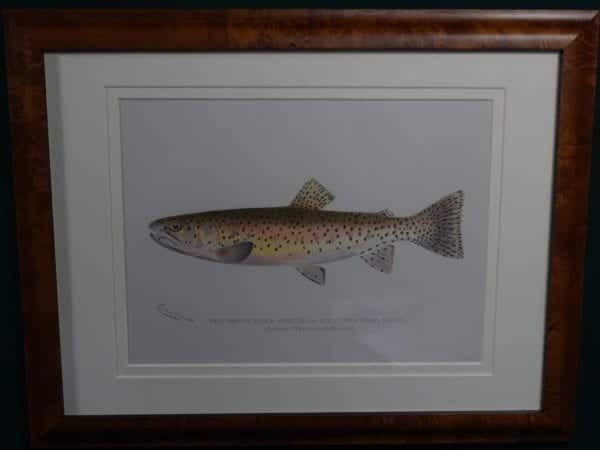 Denton Red Throat Black Spotted Trout $285. Framed Denton Lake Trout. $300. 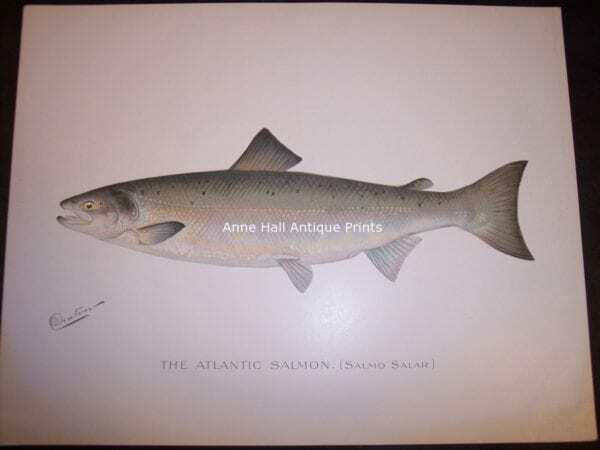 These antique trout salmon fish prints are old chromo lithographs by Sherman Denton. They were published in New York c.1900. They come from reports published by the New York fish and game commission and were published on a yearly basis. 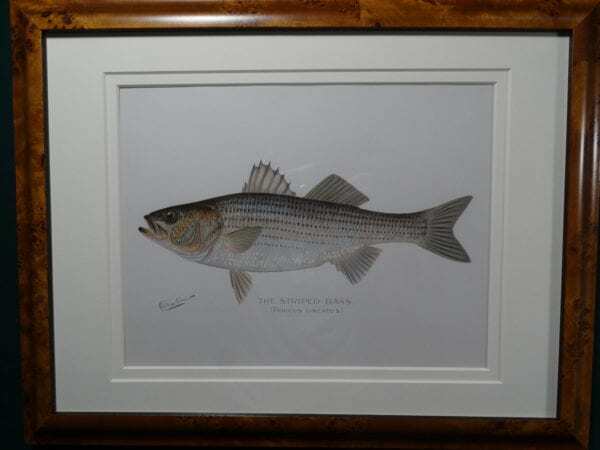 Offered at a special low price, they come from a collection of a Rhode Island fisherman, wanting to sell his collection. There is some wear to the frames, so please inspect with care. The fish prints themselves are worth $165. each. 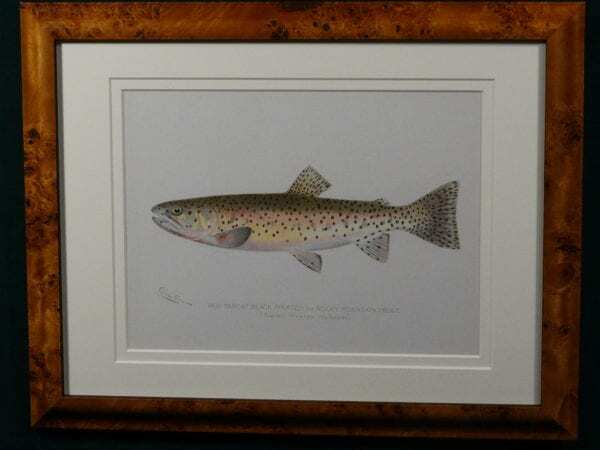 Red Throat Black Spotted or Rocky Mountain Trout by Denton Framed $165. 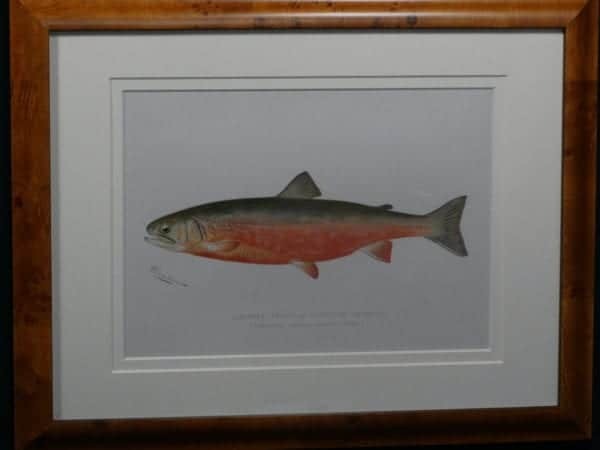 Male Land Locked Salmon or Quananiche by Denton Framed $165. 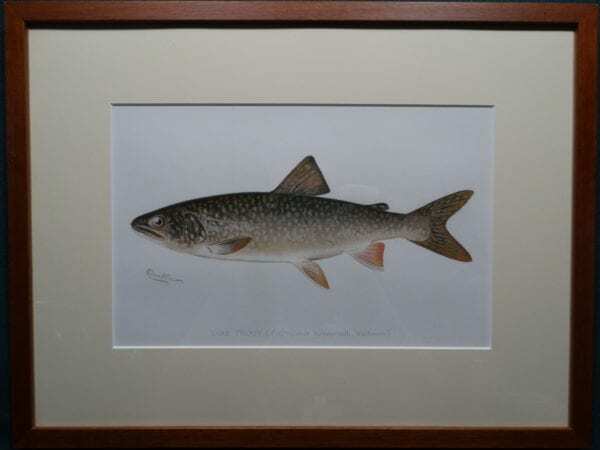 Lake Trout by Denton Framed $165. During the 1880’s, Denton and his brothers accompanied their father, a geologist, on expeditions to Australia, New Zealand and New Guinea where he collected natural history specimens. 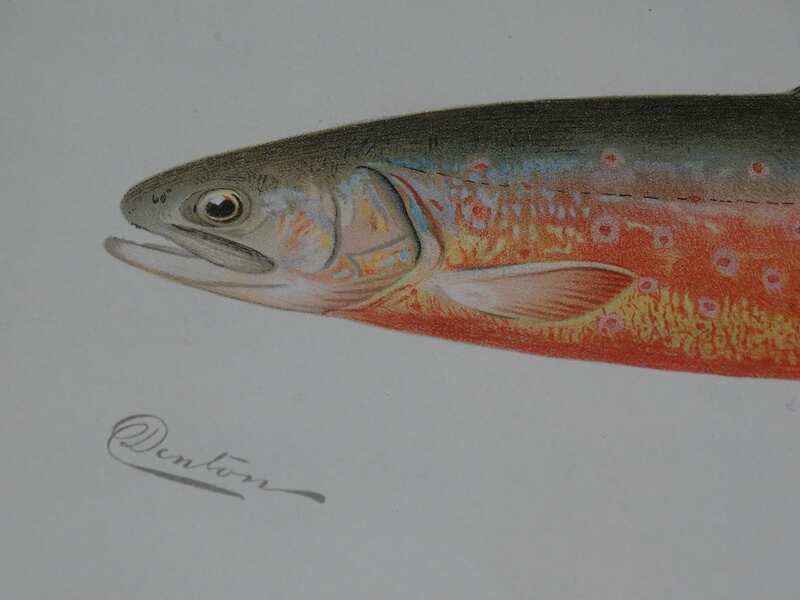 Upon his return, Denton worked as an artist for the US Fish & Game Commission at the Smithsonian Institute, where he illustrated their annual reports and also developed and patented a method for mounting fish without them losing their natural colors. He became the leading maker of the Field Museum in Chicago and the Agassiz Museum at Harvard. 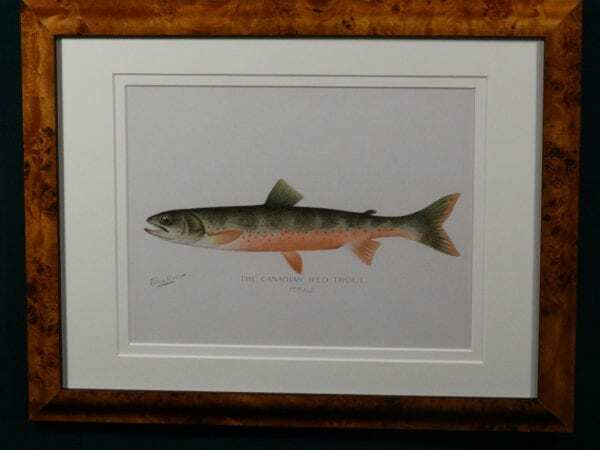 Denton was hired by the State of NY Fisheries, Game and Forest Commission to illustrate their annual reports, providing the watercolor illustrations for some 100 chromo lithographs. Denton’s superb drawings vividly illustrated the appearance of live fish, and set the standard for all natural history fish illustrations. 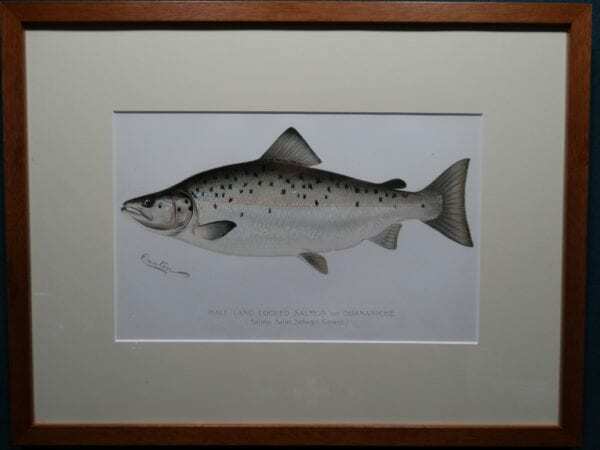 Antique Lithographs: Sherman Denton Trout Salmon Prints Framed in Walnut Burl. 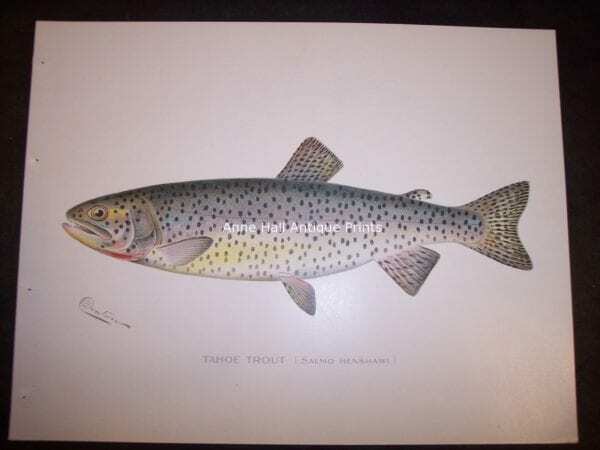 These are genuine antique chromolithographs of trout salmon. They were published c.1900 by the New York Fish and Game Commission. They are framed in high end double rag mats and under UV glass in dark walnut burl veneer, a solid wood frame. Click here to contact us. or call us at 413-245-4197. Denton Lobsters, Price Given Upon Request. 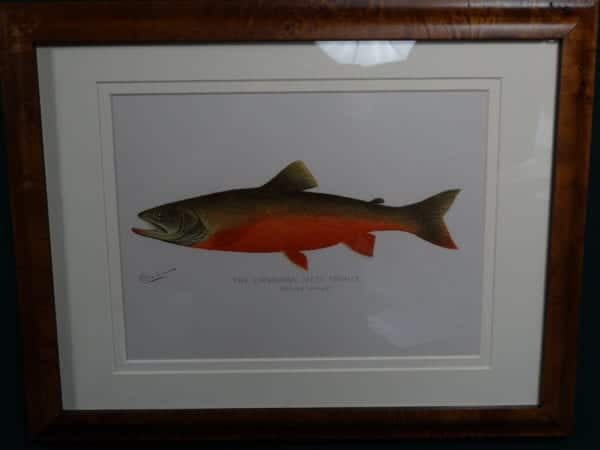 Trout and Salmon Prints by Sherman Denton. Published Circa 1900 for the New York Fish and Game Commission. Antique Chromo Lithographs in Great Condition. 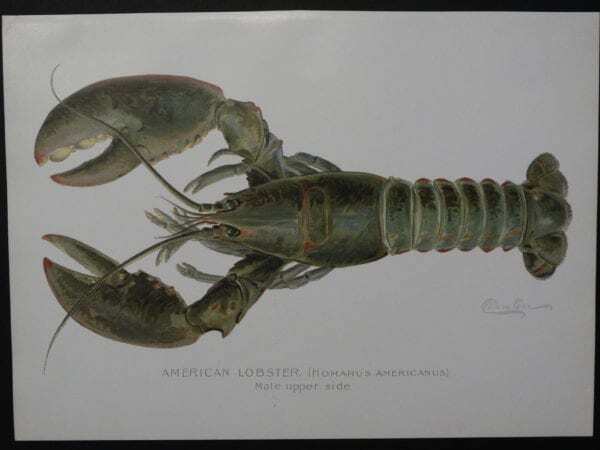 These are the work of Sherman Denton, who was hired by the State of New York Fish and Game Commission to illustrate species pertaining to the U.S. Denton came from Wellesley, Massachusetts for all you history buffs! These old prints are called chromolithographs. Included here are salmon and trout of American fresh water streams. Here we have Trout and Salmon. 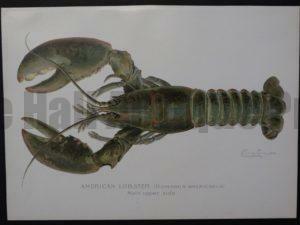 This particular series of prints are considered the best produced on North American species. These are stunning prints that are highly collectible! They delight both fisherman and chefs. 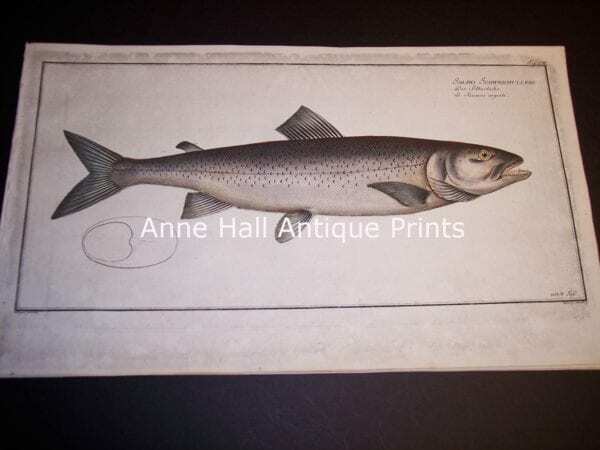 Old Denton Trout and Salmon Prints from Anne Hall Antique Prints. These measure 9 1/2 x 12″ Click here to contact us. 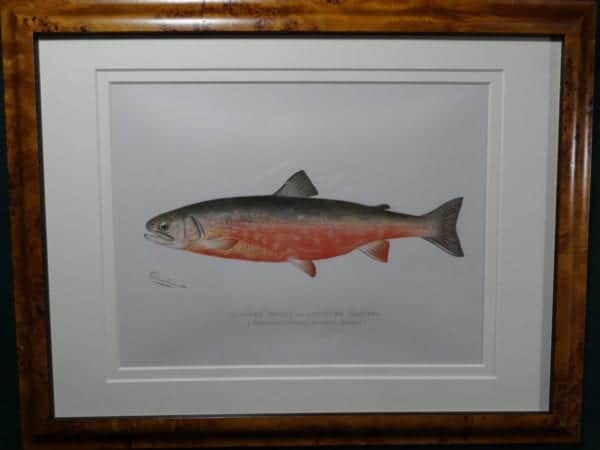 Denton Steelhead or Salmon Trout $135. Click here to buy now! Denton Red Throat Rocky Mountain Trout. Salmo Mykiss Walbaum. $165. Click here to buy now! 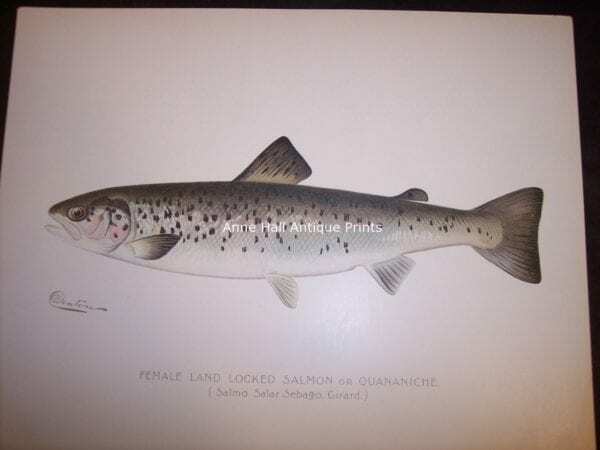 Denton Female Land Locked Salmon or Quananiche. $150. Click here to buy now! Denton The Atlantic Salmon 2. Salmo Salar. $165. Click here to buy now! Denton Tahoe Trout. Salmo Henshawi. $125. Click here to buy now! Denton Lake Trout $165. Click here to buy now! 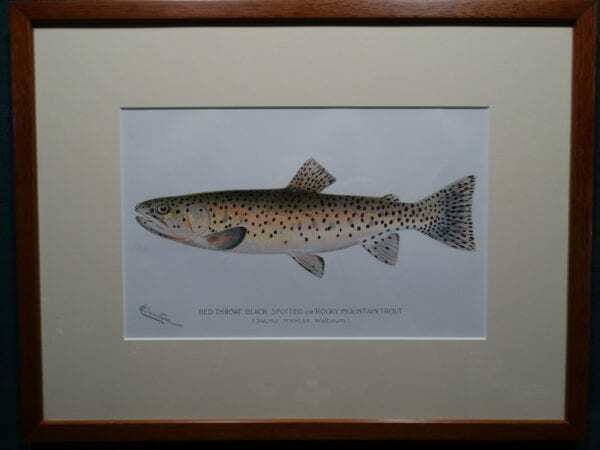 Denton Sunapee Trout or American Saibling $165. Click here to buy now! 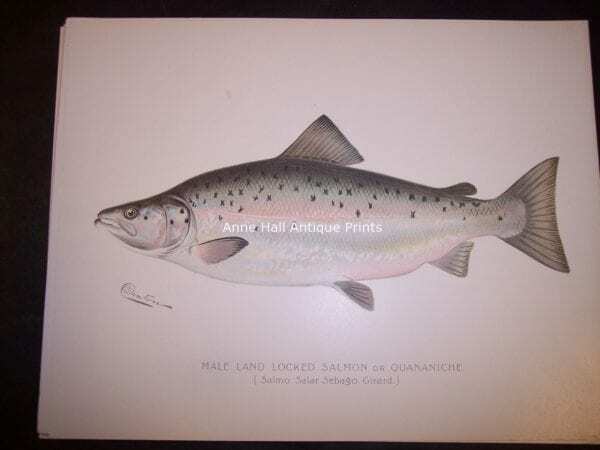 Denton Atlantic Salmon, Salmo Salar. $50. see staining in corners. Click here to buy now! 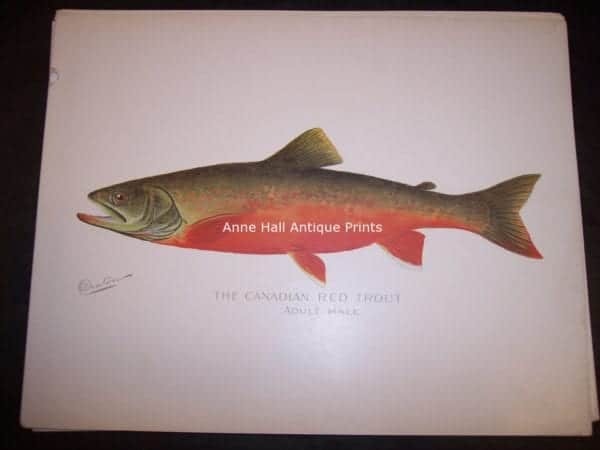 Denton Canadian Red Trout Male $165. Click here to buy now! Denton Rainbow Trout. 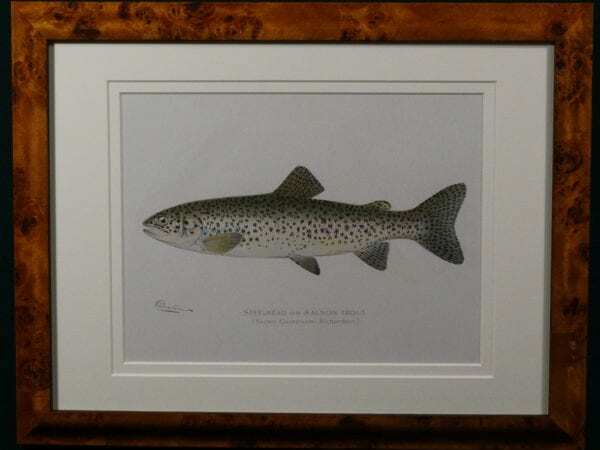 Salmo Irideus $165. Contact for availability. Denton Male Land Locked Salmon $125. Click here to buy now! 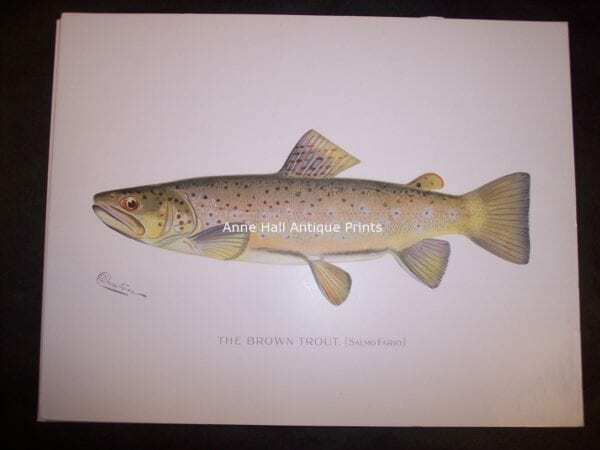 Denton Brown Trout. Salmo Fario. $165. Contact for availability. Bloch Fish engravings. These old prints were published by Eliezer Bloch. 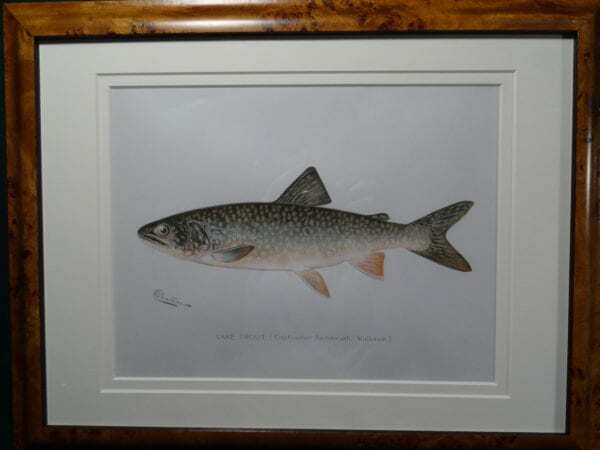 Come from Eliezer Bloch’s rare book on fish entitled Fishwerks. Produced c.1730. These are hand water colored copper plate engravings on hand made hand laid rag. They are lake, river and stream. 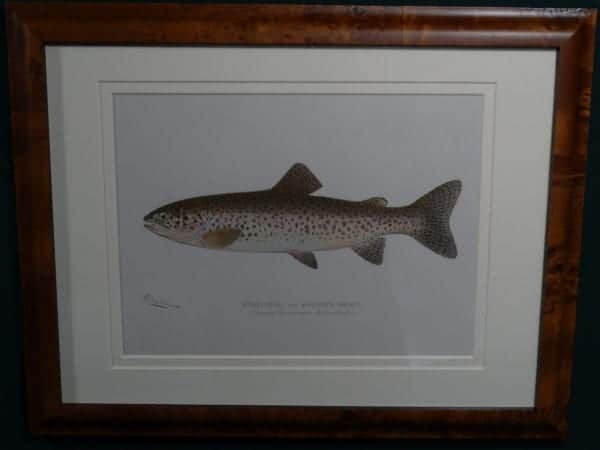 Fresh water fish species including trout and salmon. They range in price 200-350 each and are about 10 x 13 1/2.” Click here to contact us. 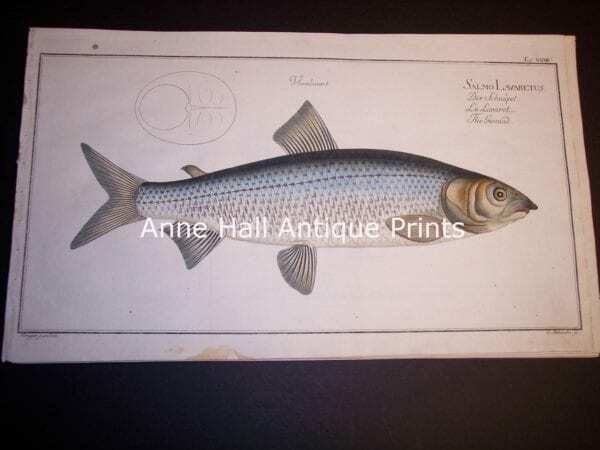 Elizer Bloch Fishwerks c.1730 hand colored copper plate engraving. Salmon 8861 $300. 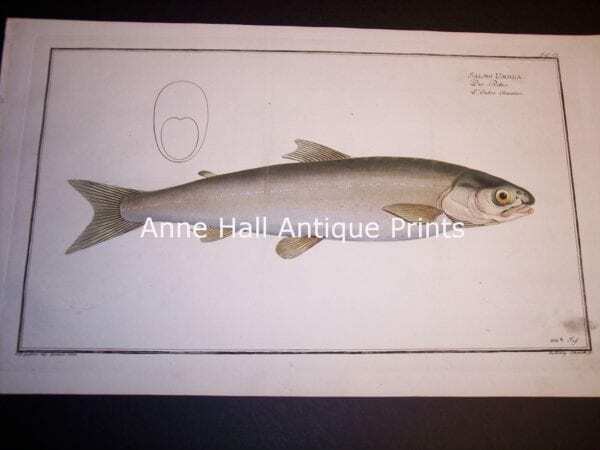 Elizer Bloch Fishwerks c.1730 hand colored copper plate engraving. 8859 $300. Elizer Bloch Fish c.1730 hand colored copper plate engraving. 8858 $275. 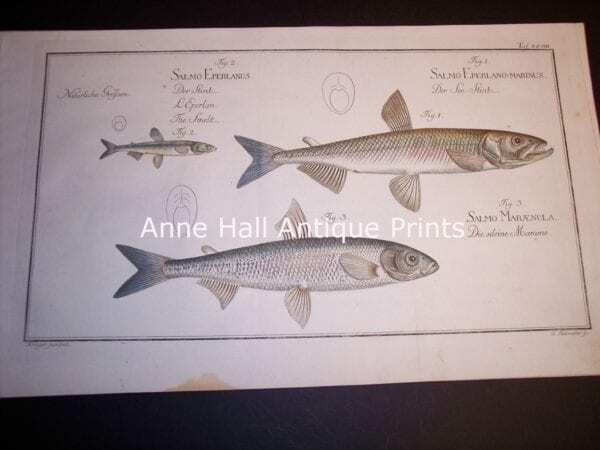 Elizer Bloch Fishwerks c.1730 hand colored copper plate engraving. The Sturgeon 8856 $350. 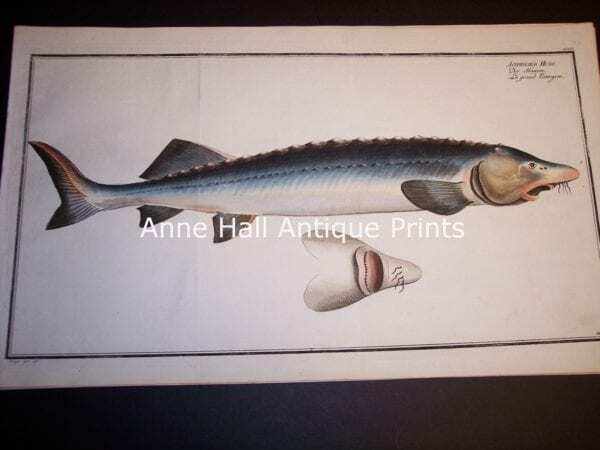 Elizer Bloch Fishwerks c.1730 hand colored copper plate engraving. Salmo 8854 $200. 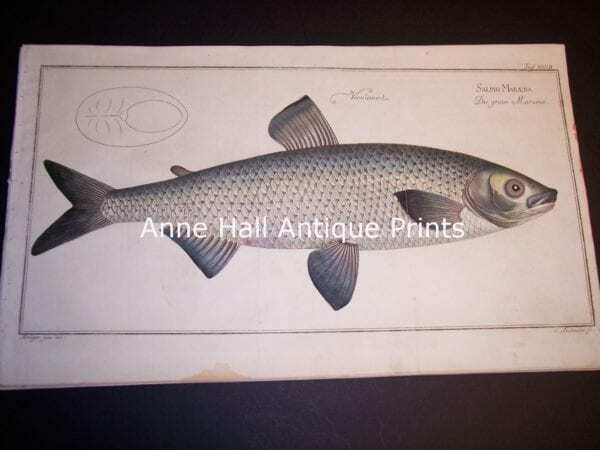 Elizer Bloch Fishwerks c.1730 hand colored copper plate engraving. Salmon 8853 $250. Trout and Salmon Fish. Antique Lithographs and Engravings. 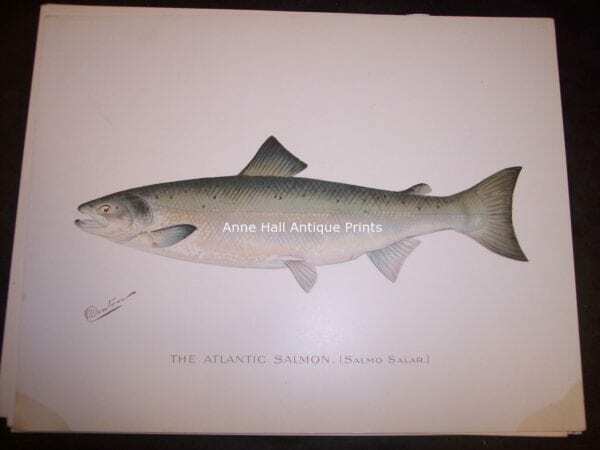 These are old prints of fish from freshwater lakes and rivers… We have a selection of Sherman Denton’s antique illustrations at Anne Hall Antique Prints, a reputable and knowledgeable antique print dealer! Denton was hired circa 1900 by the New York Fish & Game Commission. His job was to illustrate North American species of fish. 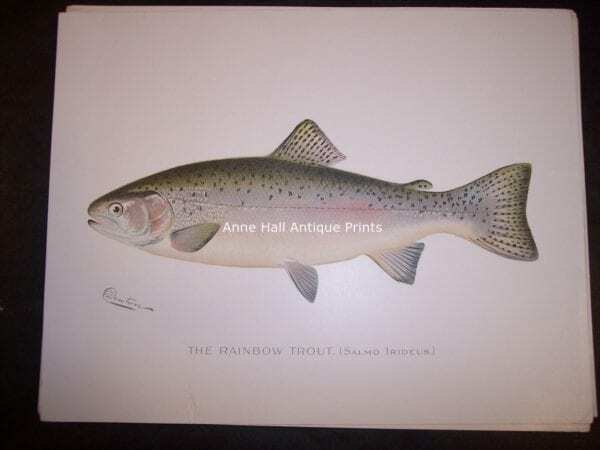 Here I have trout and salmon antique lithographs and engravings of: lake trout, brown trout, brook trout, rainbow trout & salmon, land locked salmon, and steelhead salmon. All of these old engravings and lithographs date to 1905 or before. These old prints are the perfect artwork for a den, camp or kitchen! 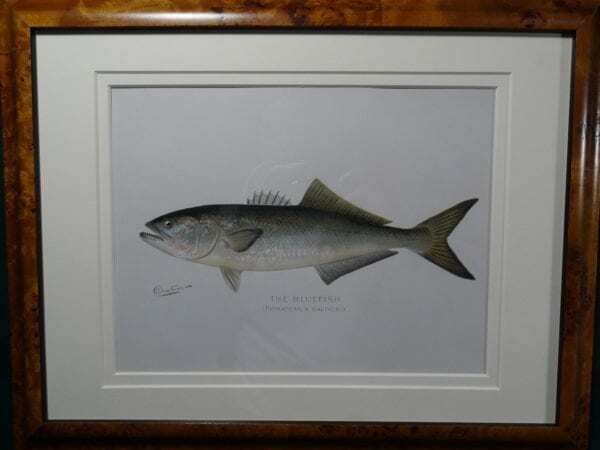 Fishermen love to collect these old prints! See other kinds of fish. Sea Shells! Old antique hand colored shell engravings & lithographs. 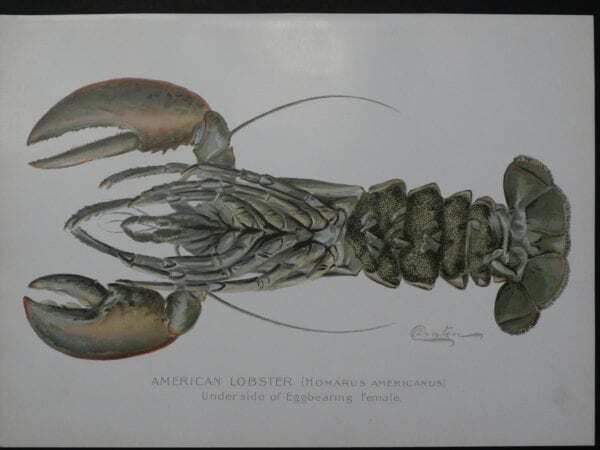 Misc Aquatic… Antique Prints of Lobsters & Crabs & Corals.